Another view of the shield from Pazyryk kurgan 1. Label not legible in my photo of it. Located in The State Hermitage Museum, St. Petersburg. Photo by author, September 2015. The shield from Pazyryk kurgan 1 is about the size of an A4 or US letter sheet of paper. 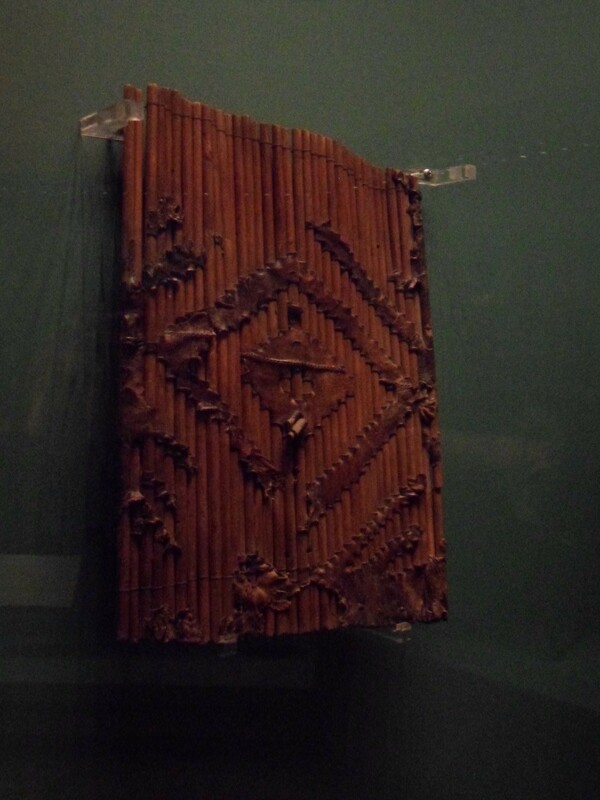 The body is 35 sticks stripped of their bark, thrust through slits in a sheet of leather, and laced together in a row. Its grip is a flexible leather strap. Duncan Head says that it was found at the left rear of one of the saddled horses in the barrow (The Persian Army, p. 47). I wonder how it was supposed to be used. The small shields which I have wielded have a boss and a solid central grip, so they can protect the sword hand or push firmly with the edge against the opponent’s body or weapons. This shield would not protect the fist so well, and the flexible grip would not be so good at transferring force from the wielder to a target, while it is too small to be very helpful against arrows. Small shields with flexible grips of leather, rope, or chain are common in the history of arms and armour, so they must have been a good solution to some martial problem. While it is wonderful to have this shield, it is good to remember that it does not represent the only kind of shield made from sticks. I already mentioned that this shield is only about a foot tall, a quarter the size of the Persian shields in pictures which it is sometimes used to reconstruct. It is also made from twigs, a material which might have been more available in the Altai highlands than some parts of the Achaemenid empire. 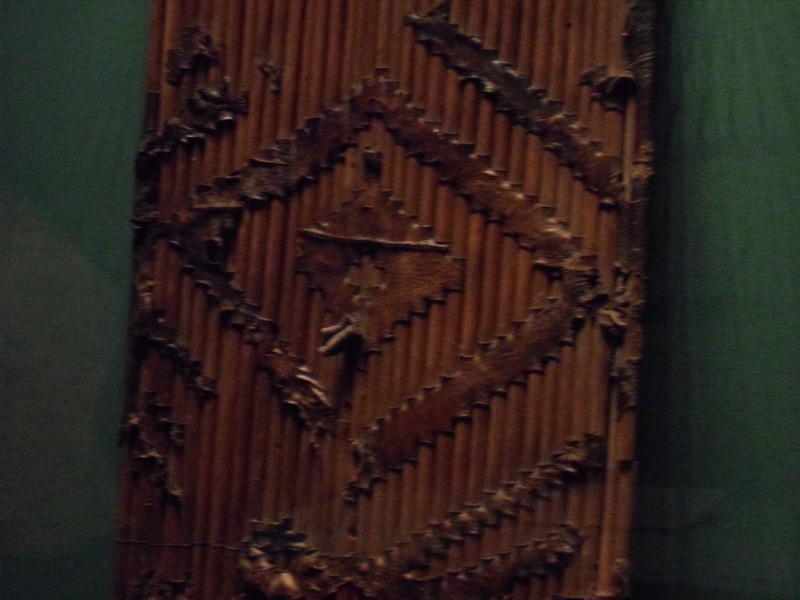 There are shields made from bundles of reeds attached side by side. 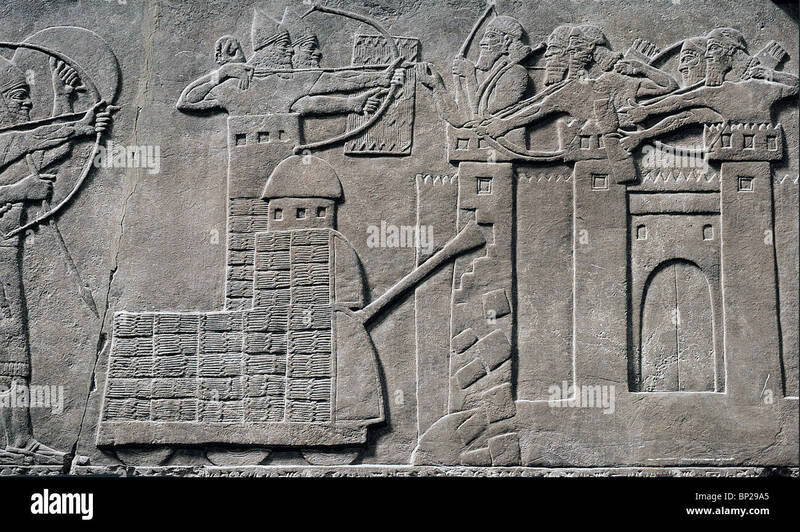 These must have been very effective at stopping missiles, but heavy, so they often appear in Mesopotamian carvings of troops besieging a city with one end resting on the ground. There are also shields made from basketwork, often round or oblong with a reinforced boss at the centre to protect the hand and arm where they rest closest to the face of the shield. These were popular in India, China, and the Ottoman Empire in recent times, so many survive in museums. Round shields about half as tall as their wielder and a foot deep which seem to be made in this way appear in the hands of tribute-bearers on the reliefs on the Apadana at Persepolis. Because I am sick, I can’t spare the time and energy to find, copy, and paste photos of them. A Turkish armour from the end of the sixteenth or beginning of the seventeenth century. The shallow wicker shield with a boss was typical of Ottoman soldiers at this time, although many no longer bothered carrying them since they would not stop a bullet. Dritte Rustkammer, Schloss Ambras, outskirts of Innsbruck, Austria. Copyright by author, 2013. Even worse, almost any shield covered with hide or cloth could have wickerwork under the cover to give structure and provide another layer of defense. 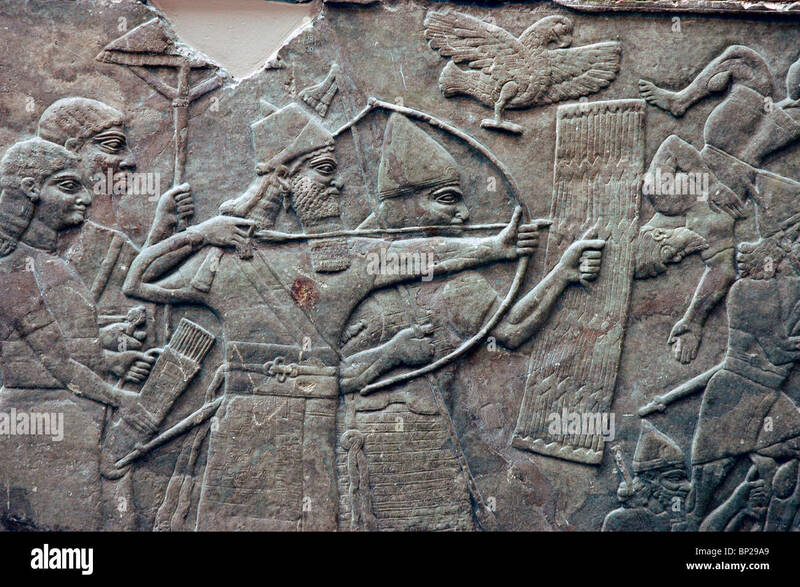 The “violin-shaped” shields in the reliefs at Persepolis might have been made in this way, as might their cousins in Late Bronze Age Anatolia and Archaic Greece. 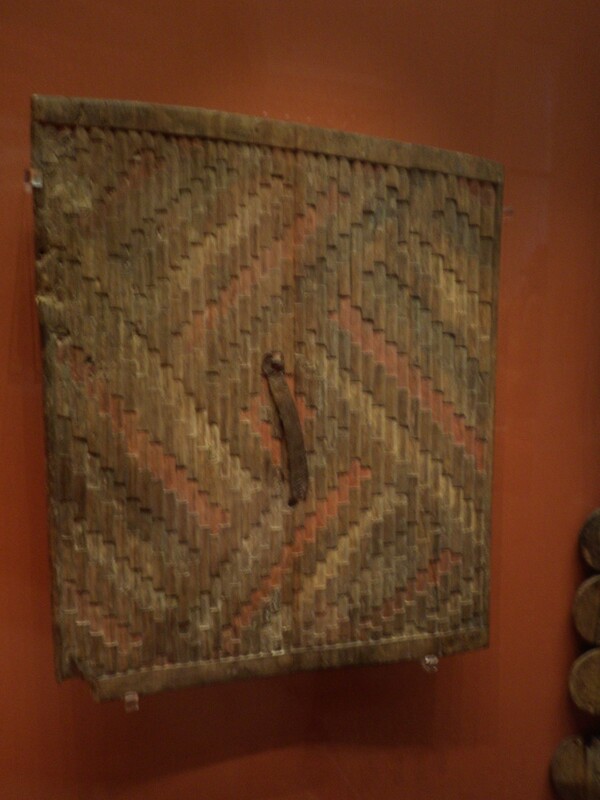 Unless a source shows the back of such a shield with a pattern indicating that it is rough, it is impossible to show that there is wicker inside. Frustratingly, no Greek source which I have read specifies both a wicker shield’s shape and its material, and all of the references to γέρρα (“wicker things”) could refer to a variety of types of shield made from sticks or reeds depicted in contemporary art. Shield from Tuekta kurgan 1. Sixth or fifth century BCE. 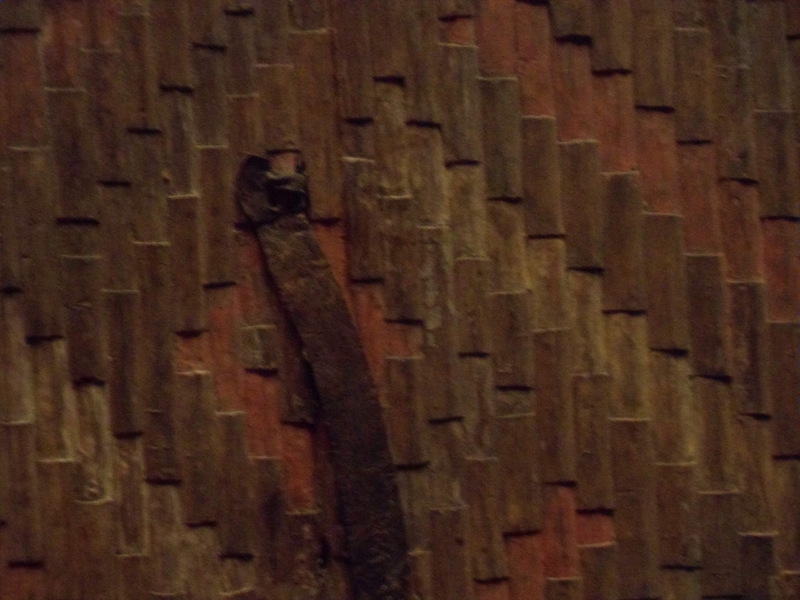 Wood, leather (деребо, кожа). Inventory Number 2179/959. The State Hermitage Museum, St. Petersburg. Photo by author, September 2015. At first glance, a second shield appears similar, although it has retained its colours better through the long centuries of darkness and ice. View of the second shield from Tuekta kurgan 1. Sixth or fifth century BCE. Wood, leather (деребо, кожа). Inventory Number 2179/960. The State Hermitage Museum, St. Petersburg. Photo by author, September 2015. A closer look reveals an important difference between this and the first two shields. 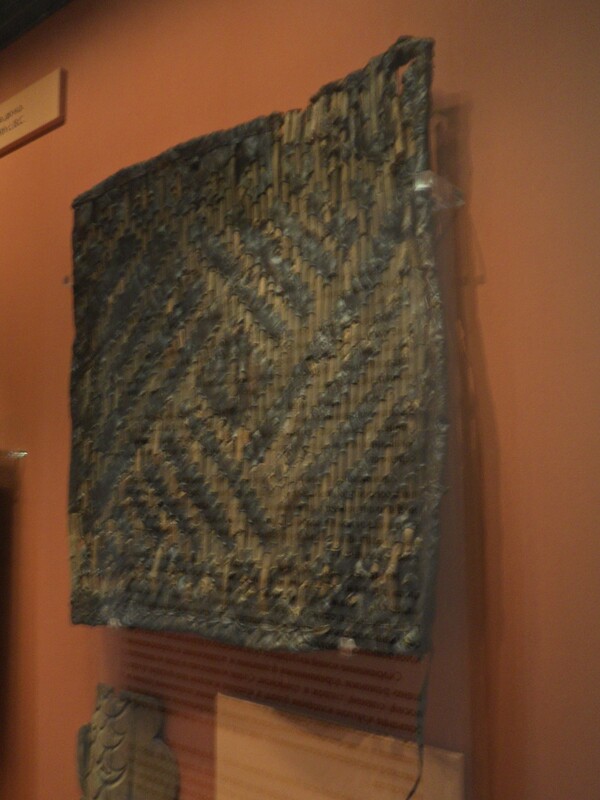 Grip of the second shield from Tuekta kurgan 1. Sixth or fifth century BCE. Wood, leather (деребо, кожа). Inventory Number 2179/960. The State Hermitage Museum, St. Petersburg. Photo by author, September 2015. This shield is solid wood, carved and painted to imitate branches thrust through slits in a sheet of leather or rawhide. There are fundamental limitations to what can be learned about military equipment by studying pictures of it, because ancient craftsmen often worked one material to look like another. What is obvious in person can be impossible to tell from a distance or through a painting or carving. So I am very grateful that I had the opportunity to gaze upon the shield from Pazyryk. Sean, you didn’t mention it here, but these shields bear a striking resemblance to some shown in Assyrian reliefs depicting sieges. I’d go so far as to bet money that they’re of the same sort of construction. Hi Gregory, that is a good point! Those smaller rectangular shields do look like the same style, whereas the big ‘pavises’ seems to be made of bundles of reeds like a reed boat. I would like to look at all the cuneiform texts describing shields at some point.